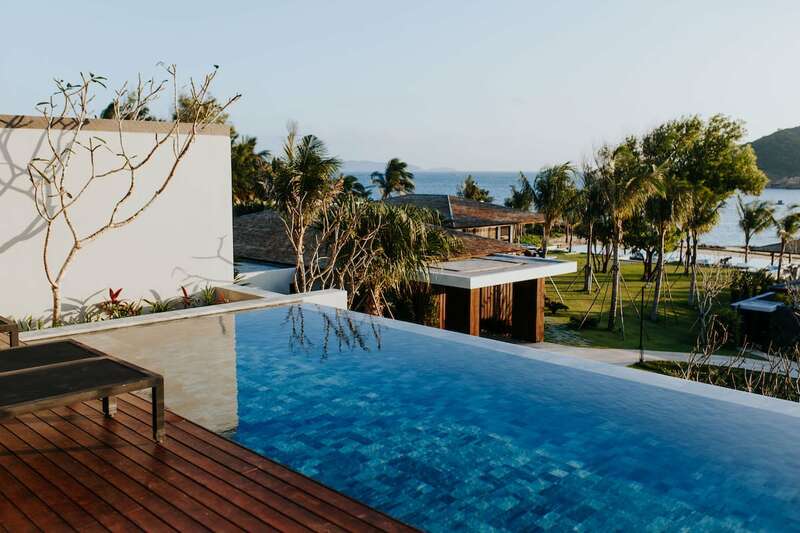 Just in time for the holidays, Anantara, one of Southeast Asia’s most acclaimed resort brands, unveiled 26 one and two-bedroom villas along the coast near Quy Nhon, a mid-sized city in South Central Vietnam. The property, which is nestled among verdant hills, features emerald waters and fine, sandy beaches, attracting adventurous and well-heeled tourists. Travelers can stay on the resort to enjoy its impeccable amenities or explore the surrounding environs to sample the region’s seafood specialties. Anantara’s recent debut in Quy Nhon adds to the growing number of luxury resorts dotting the city’s coastline. An hour-long flight from Saigon, the hotel is in Quy Nhon, a mid-sized city along the South Central Coast in Bình Định Province. To reach the hotel, most travelers will fly into the sleek, modern Phu Cat Airport with service from Saigon and Hanoi. You can also reach Quy Nhon via the North-South Railway from Da Nang or Nha Trang or direct bus service from Nha Trang. Either way, Anantara can send a chauffeured BMW X5 to pick you up. The car comes with scented hand towels, mobile WiFi, and an iPad for you to pick your preferred playlist for the one-hour ride. 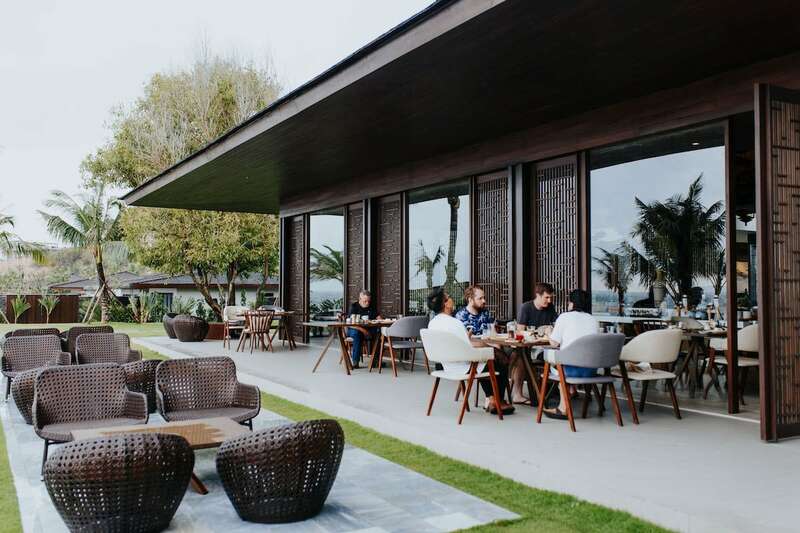 The drive also features views of miles of sweeping rice paddies, eventually giving way to the city of Quy Nhon and then the beachside hills where Anantara’s villas are located. Villas have their own private terrace and pool, with views of the beach and nearby islands. My mom, dad, brother and I, visiting on a weekend in December, reserved one of the two-bedroom villas. 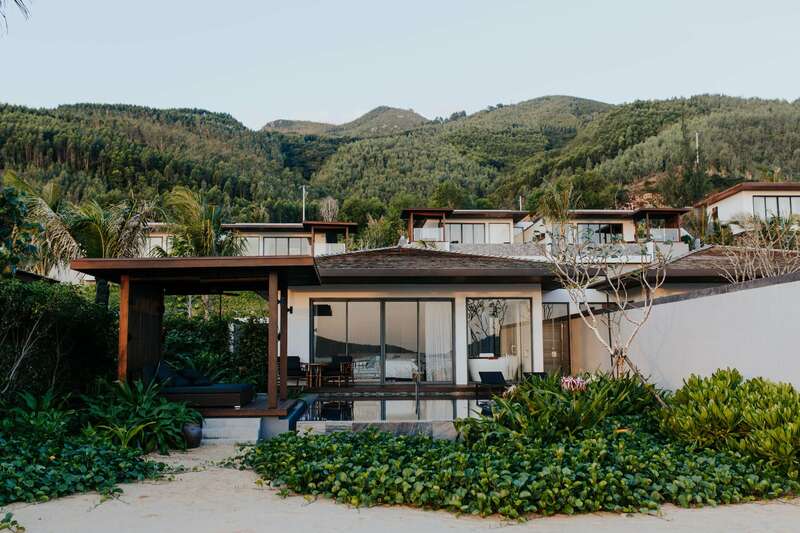 The two-bedroom villas are nestled in the Quy Nhon hills (the one-bedroom options are immediately beachside), with each room arranged in a stacked fashion. The rooms, which are not connected, have separate entrances, offering privacy for its residents. Because the beds face a glass wall that open to the beach, you can wake up to spectacular view of the beach and the forested islands sitting off of the Quy Nhon coast. The same view is available from the shower, for those who are willing to risk showering with the blinds up. 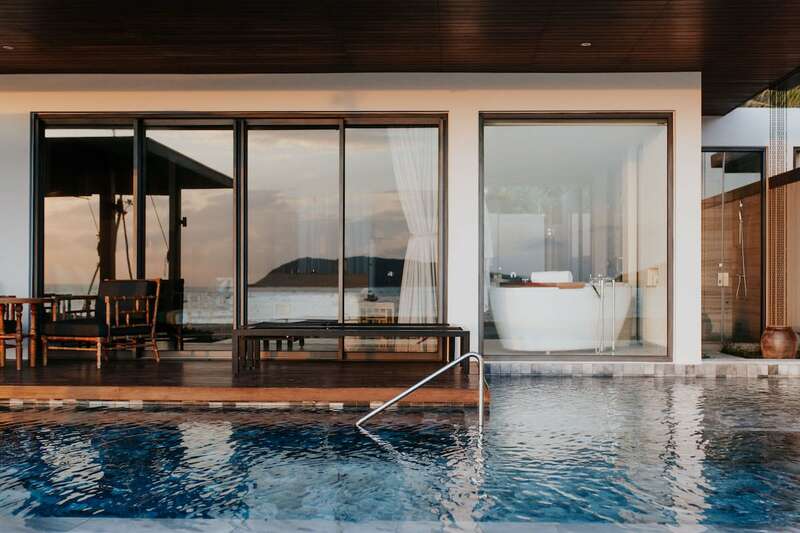 Each villa also comes with a private infinity pool and deck. Sea Fire Salt, located on the property, offers all-day dining with seafood and meat options. The property features a restaurant called Sea Fire Salt, offering all-day dining with Vietnamese and international options. 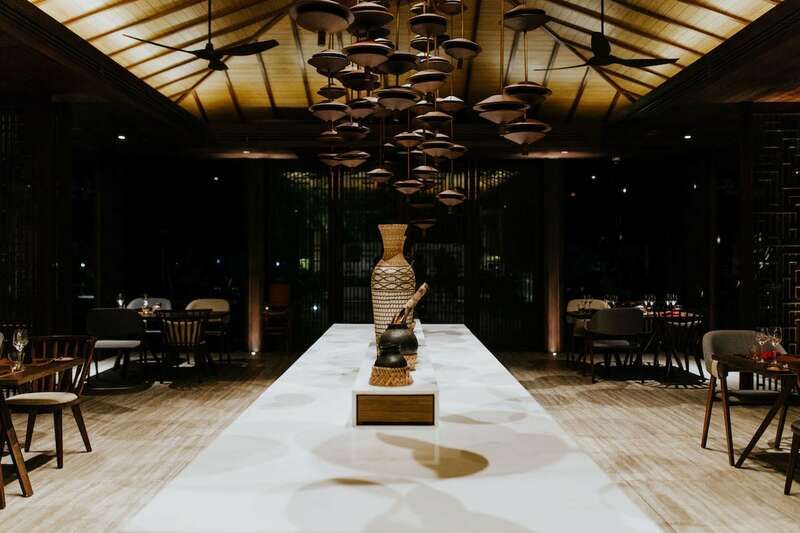 Their signature dishes includes seafood and meat grilled on a variety of Himalayan salt blocks, but the chef also graciously offered us some off-menu traditional dishes like Canh Chua and Muc Xao. From the menu, we recommend their Vietnamese Beef Salad and Mixed Seafood Salt Block. Owing to the location, the seafood in the region is particularly fresh, which we confirmed on an off-resort dinner at nearby local hangout Quan an Bong Benh. Sea Fire Salt’s breakfast spreads were also impressively comprehensive, including various types of yogurt and oats, cured meats and fish, freshly squeezed juices, pastries and bread, and smoothies. If you’re still hungry after that, you can order a more á la carte. Private infinity pools are one of the many amenities offered at this location. During the day, guests can lounge on their private infinity pools, socialize with other guests at the main pool and bar, or walk along Anantara’s private beach. For those preferring a relaxing spa day, guests can start with yoga in the morning and continue into the day with massages, scrubs, facials, and mani/pedicures. The spa also includes a hair salon and a tea lounge. Anantara Quy Nhon sits on a quiet sliver of beach facing the South China Sea. 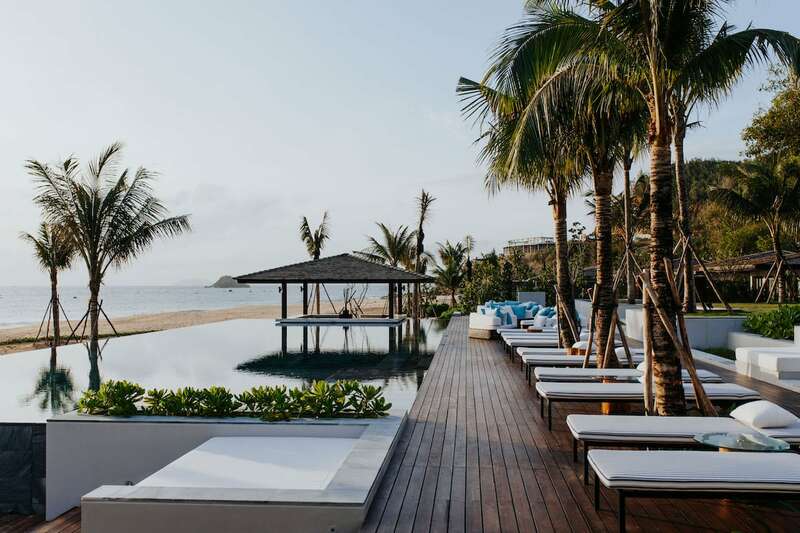 With luxurious villas built into the hills that provide unparalleled views of the Quy Nhon coast, Anantara features the polish of a global five-star brand and the exclusivity of a relatively unknown location.